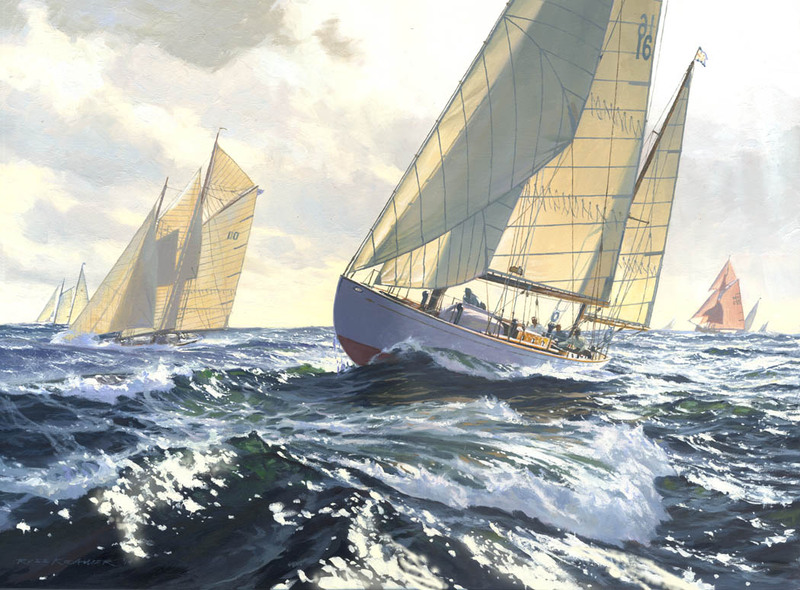 The legendary yawl DORADE, designed by Olin Stevens and helmed by his brother Rod in the Bermuda race of 1932 leads (from left) BRILLIANT, MALABAR X, and JOLIE BRISE. She would win her class and many other races in the decades to come. This original oil was on exhibition at the 2014 Modern Marine Masters show and has sold into private collection.